Since much of the country is now in a deep-freeze, it's a good time to point out some cold weather precautions you should consider if you are growing worms. Not dry, mind you. But dry-er. Still adhere to the moisture level guidelines. Just lean to the dry side to make the bedding less cold. Make sure your bedding is deep enough. The deeper the bedding the more insulation from the cold, the longer it takes to freeze, and the more protected your worms will be from colder temperatures. When possible, have your worms in a sheltered area. The more protected your worms, the less damage. 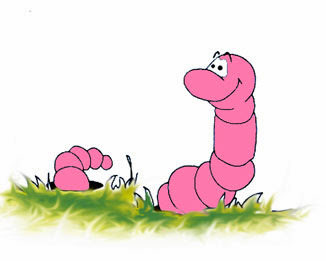 If your worms aren't in a climate controlled building, they go dormant and eat much less. To prevent "acid poisoning", don't overload the bed with more food than they will consume. Worms go dormant when kept below 60 degrees. Worms maintained in temperatures in the low 70's remain active, breeding and growing. So, if possible, keep your worms in temperatures that you enjoy. 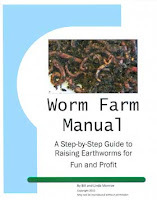 There are many other worm growing tips as well as how to set up your worm farm, how to grow earthworms, and troubleshooting tips in my Worm Farm Manual: A Step-By-Step Guide To Raising Earthworms. Order today and get started growing earthworms. Spend a whole lot of time on marketing and sales. Sounds like a no-brainer, right? But you'd be surprised. That saying "Build it and they will come" is a recipe for failure. You need to get out there and beat a few bushes in the beginning to let folks know what you've got. You may be the only worm grower in your area or you may be the only one offering the highly desirable European night crawlers, but if nobody knows about you they can't buy your product. It's as simple as that. Of course, you need to learn how to grow worms, how to feed them, what is the best bedding, and how to solve problems (better yet, how to keep them from happening), but do not neglect the salesmanship that is necessary for a successful business. Eventually, you will be turning away business (yes, this is true). Until that day arrives, work on finding the customers, finding wholesale accounts, and, at the very least, setting up contact and informational websites. Of course, in the beginning, don't take on more customers than you can service, especially large wholesale accounts. As mentioned before, you don't wont to deplete your worm stock in the early stages of your business. One approach is to set some customers up for a future date. Let them know you have worms and when they'll be ready for delivery. Just make sure you have those worms when you say you will. You can always buy them from another established grower to fill an order. Always, always, keep your word and get promised orders filled, even if you take a loss. It's better to lose money on one sale than to lose a customer for good. So, as your worm stock increases in size, get out there and find customers and replace any lost customers on a continuing basis. Visit bait shops, put up flyers, hand out cards, get "online", share on FaceBook and other social media. Get the word out and "they will come". There are many other marketing and sales tips as well as how to set up your worm farm, how to grow earthworms, and troubleshooting tips in my Worm Farm Manual: A Step-By-Step Guide To Raising Earthworms. 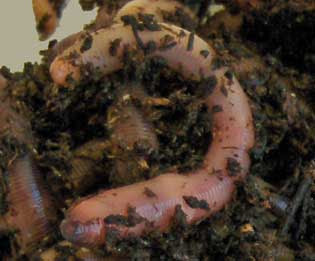 Order today and get started growing earthworms. In your worm farm business plan, always, ALWAYS, over estimate your projected expenses and underestimate your projected income. Blame it on human nature, but almost everyone, almost always, projects too little expenses and expects too much income in their start-up phase. Now, worm farming is special since, as compared to most home-based businesses, it has very low start-up costs and has a very high profitability potential. But you should still apply the following strategy. As a budding worm farmer, in making your business plan (and you are making one, right?) add about 30% to your projected expenses and subtract about 30% from your expected income. That way, you have a cushion built into what you expect your outlays to be and how much money you require so you can hang in there until your worm farm reaches profitability. As stated before, the #1 reason businesses fail is cash flow: too much going out and too little coming in, and not enough reserve to keep the business afloat until you get established. By making this 30% adjustment to whatever figures you arrive at in you business plan, there'll be no unexpected surprises to throw a "hitch" into your worm farm "get-a-long". I'm not saying you should accept your adjusted numbers as your stated goal or you should be satisfied with less profit. I'm just saying, in planning your cash flow, use the adjusted projections to manage your money's so you stay solvent during the start-up phase of your worm farm business. By all means, set your goal at X amount of profit and have a firm belief and faith that you will reach your goal. Just manage your cash flow on the more conservative figures. Should unexpected costs arise, or a sure fire sale goes awry, you'll be able to absorb any short falls. I can't say it often enough (so say it with me), the #1 reason most businesses fail is because of what? Cash Flow! So, use this strategy and you're 90% assured of being a successful worm farmer. Get off to a good start with your worm farming business. Learn how to set up your worm farm, how to grow earthworms, and other how-to's and troubleshooting tips in my Worm Farm Manual: A Step-By-Step Guide To Raising Earthworms. Order today and get started growing earthworms. As you're building cash flow from your worm farm business, managing your expenses is very important. At first, more money is probably going out than is coming in. As we discussed in Part 2, you are holding onto your worms for breeding, therefore sales may be negligible. (Good news! I'll discuss a way to start making money right away in an upcoming post.) So, to be successful in the worm farming business (or any business, for that matter), it is vitally important to keep your costs and expenses down as much as possible. Always ask yourself when considering a purchase: "Can I do without this so-and-so or such-and-such for now, or do I have something on hand to 'make do' until later?" Get the things you need to operate and grow your earthworm farm, but don't spend needlessly in the early stages of your business. By keeping your expenditures at a minimum, you have a much better chance of surviving the "start-up" part of your worm farm business long enough to reach the "pay-off" part.